Press secretary Sanders said, "Nobody thinks this is the ideal solution," sending migrants to sanctuary cities. But she said mayors of cities "who want this ... should be looking to help" Trump resolve the crisis at the border. She accused Congress of wanting to spend "all of its time investigating the president" rather than dealing with the immigration turmoil. 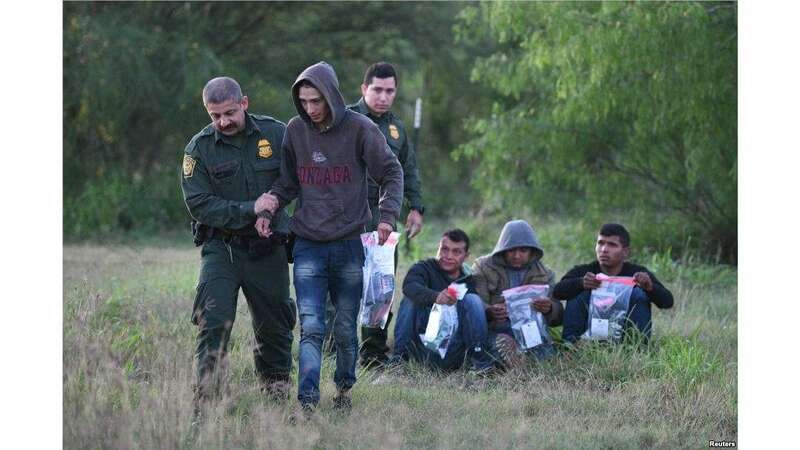 • U.S. Border Patrol agents apprehend undocumented migrants after they illegally crossed the U.S.-Mexico border in Mission, Texas, April 9, 2019.